Jamie Kaler is this week’s guest on The Art Of Conversation Podcast. Jamie Kaler talks with The Art Of Conversation Podcast host, Art Eddy about what it means for him to be a father, some of his favorite moments in his acting career, his website called The DadLands and his hit video series, Dads In Parks. Kaler also opens up about why you need to be there for your wife after the birth of a child and some of his own mistakes he made during that time and offers some great advice to new dads! Jamie then answers the Life of Dad Quick Five. An accomplished actor, comic, host, voice-over artist, and radio personality, Jamie Kaler is best known for his starring role as “Mike” on the hit TBS show, My Boys. His prolific acting career includes appearances on Friends, Will and Grace, How I Met Your Mother, Parenthood, and King of Queens, as well as numerous films and over 150 commercials. He is currently the host of America: Facts vs. Fiction on the American Heroes Channel, which is entering it’s third season, and has his own radio show on SiriusXM named Kaler. As a voice-over artist he is the voice of the “Bloopers Host” on the cult classic Robot Chicken and has been the national spokesperson for Carnival Cruise Lines. 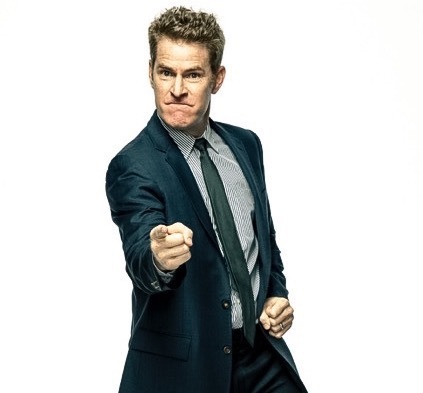 Follow Jamie on Twitter at @JamieKaler. We are pleased to have another podcast here at Life of Dad, and we focus the show on dad bloggers. Each week, host Art Eddy showcases a father in the dad blogging community. The topics range from sports to movies to comics to video games to technology to parenthood to anything that comes up, really. Absolutely nothing is off-limits on The Art Of Conversation Podcast. Enjoy! Find us on iTunes, Google Play, Stitcher Radio and iHeartRadio.